The Meadows of Blackhawk HOA maintains a basketball court in the community. The pavilion located outside the Meadows pool gates is available for resident use on a first come first serve basis. Please leave the area clean after use. Thank you. 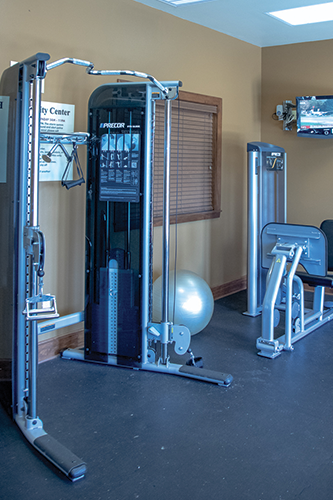 Residents of The Meadows of Blackhawk, The Park, Lakeside, The Retreat of Blackhawk, and The Estates of Blackhawk can use the gym located in the amenity center at 3111 Speidel Drive. 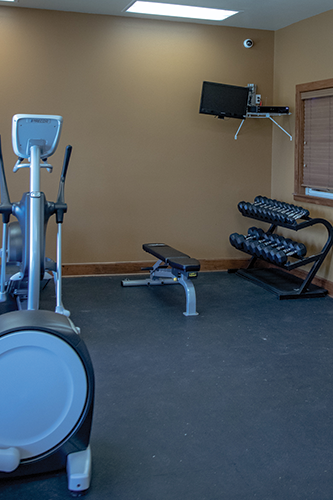 The gym is open every day from 5:00 am to 11:00 pm. If the front door of the Amenity Center is locked, access card entry is available through the side gate and door of the Clubhouse. No person under 16 is permitted in the gym at any time, with or without an adult. No exceptions. 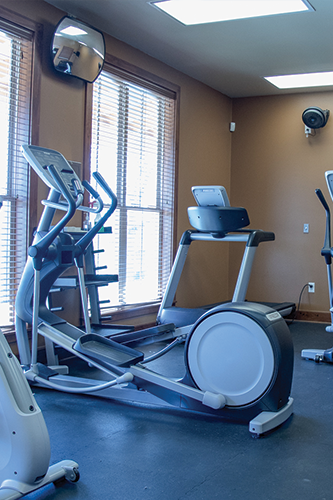 No personal trainers are permitted in the gym, unless they are residents. Proper workout attire is required at all times. Meadows of Blackhawk residents can reserve the Clubhouse and Pavilion located at 3111 Speidel Drive across from Rowe Lane Elementary School. Note that the pool cannot be used or reserved by Meadows residents. Staff is on duty six days a week to answer questions and take reservations for the Amenity Center or outside Pavilion. There is a $100 nonrefundable user fee for clubhouse and pavilion reservations. There is also a $250 refundable deposit that is to be held until the facility is inspected by onsite staff. 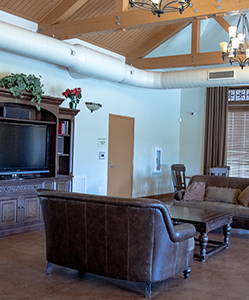 You can reserve only the pavilion (and not the clubhouse) with no user fee and a $100 refundable deposit that is to be held until the facility is inspected by onsite staff. Clubhouse and pavilion reservations are booked in five-hour time blocks. Reservations are first-come, first-served and will be confirmed when booked with onsite staff after the deposit is left. The reserving homeowner must be present for the entire event time that has been reserved. 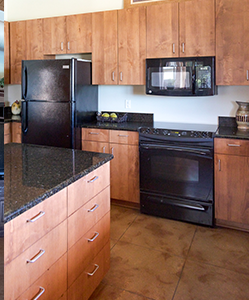 All paperwork and deposit must be signed and handled with the reserving homeowner only. NO ALCOHOL IS PERMITTED AT ANY TIME, FOR ANY EVENT. NO EXCEPTIONS. Failure to follow this rule will result in immediate forfeiture of deposit and possible suspension of future events. There is a seven-day cancellation policy. If you cancel any event less than seven days before it is scheduled then you will be charged a flat rate of $50. Duplication or lending of access cards to non-members for use of Blackhawk Amenity Center is prohibited. Nonmembers are not allowed to use Blackhawk Amenity Center. Please report unauthorized users to Management immediately. Each member is responsible for the actions and/or damages caused by their family members and/or guests. Parents of children caught destroying any Blackhawk Amenity Center property will be responsible for repair and/or replacement of such damaged property. Any trespassing, vandalism, or deliberate inappropriate behavior will be prosecuted to the fullest extent of the law. It is the Association’s policy to prosecute anyone when there is evidence on which to base a criminal complaint. No rollerblades or skateboards are allowed on the Blackhawk Amenity Center property. Proper attire is required in the Clubhouse area of the Blackhawk Amenity Center property. A baseball diamond located west of the amenity center is available for resident use. Many youth leagues use the field for practices. 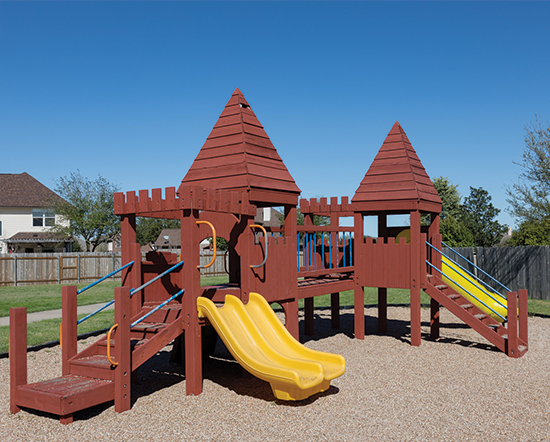 To schedule use of the field, call (512) 670-9704. A sand volleyball court next to the Blackhawk Amenity Center is available to residents on a first come first serve basis. Participants must bring their own volleyball. The golf course at Blackhawk opened in the fall of 1990 and was designed by Charles Howard, along with three-time U.S. Women’s Open champion, Hollis Stacey. When Meadows of Blackhawk was established, roughly 120 homes of the neighborhood’s 658 were not part of the Metropolitan Utilities District. This group of homes is known as “Section 1”. 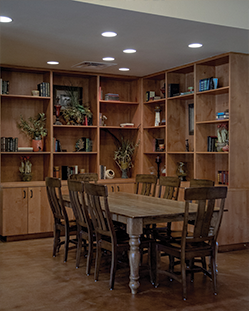 These homes are part of the Meadows of Blackhawk Home Owner’s Association, and as such, participate in neighborhood activities and use the HOA-owned pools, basketball court, playgrounds and pavilion. 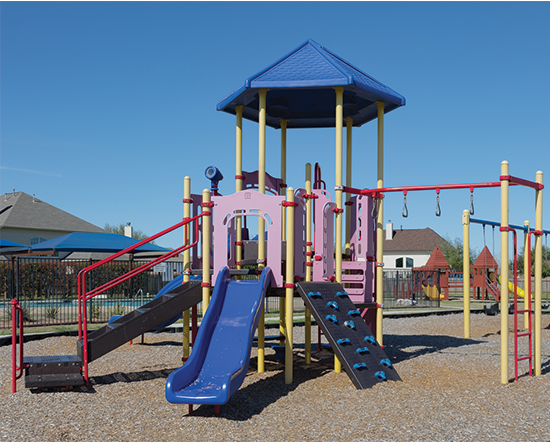 Because homes in Section 1 are not part of the Water Control and Improvement District (WCID) and do not pay WCID taxes, they are unable to use the gym and clubhouse located at 3111 Speidel Drive as these are funded by WCID taxes.